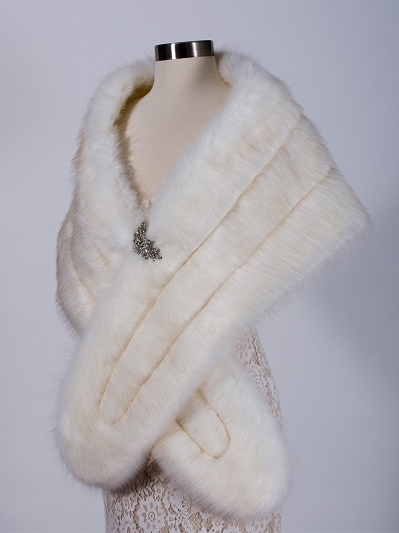 - Made with high imitation faux fur in ivory color with darker tips. 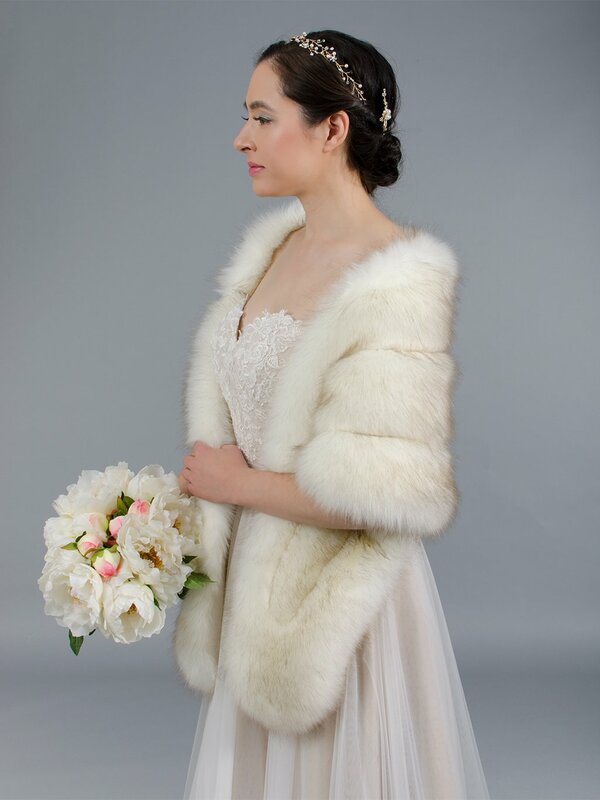 Our faux fur wrap is perfect for your wedding no matter the season or time of day. 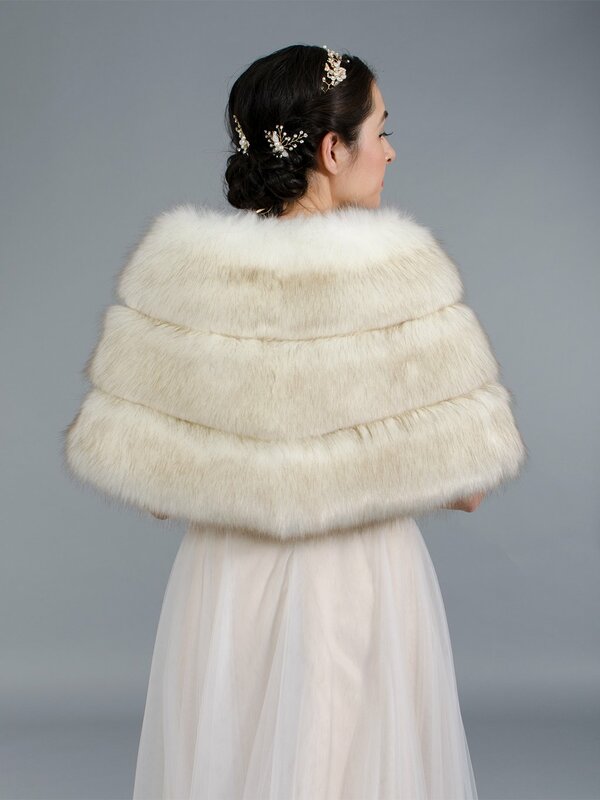 Adding style without detracting from the look of your gown, the wrap will make you look like a movie star. 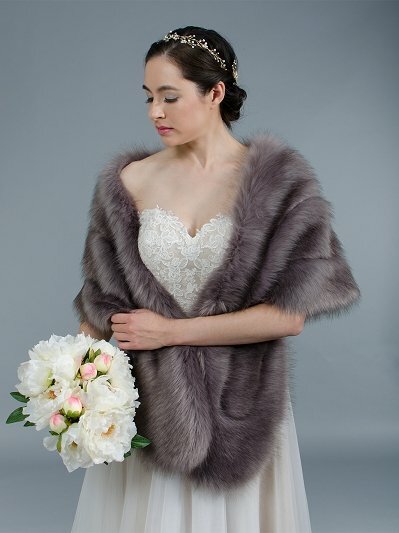 If you are looking for a beautiful wrap to add to your sleeveless gown, this is the one. 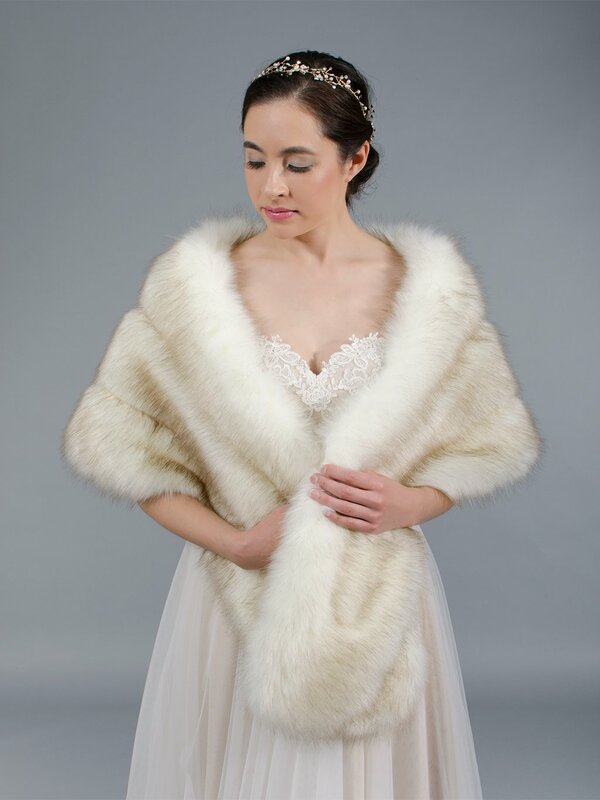 You can wear our faux wrap in a number of ways. Grasp the front closed, cinch it with a vintage pin, or tuck it under your arms. You can easily create a look that is all your own. 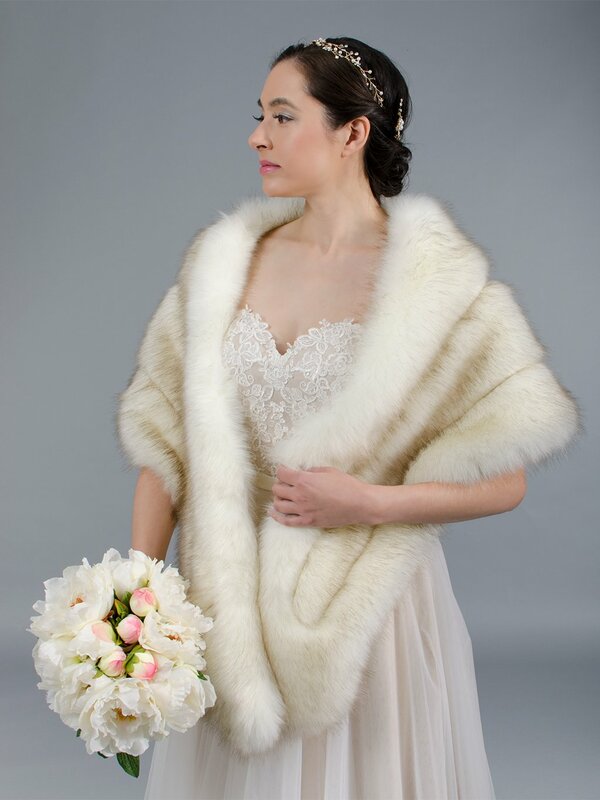 Order your wrap from tulipbridal.com today. We will send your package as soon as possible so that it arrives in plenty of time for your big day. Please return to our site when you have had a chance to try on your wrap and leave your honest feedback - we always want to know what our valued customers think.